Solid plastic handles one brass plated brush and one steel. 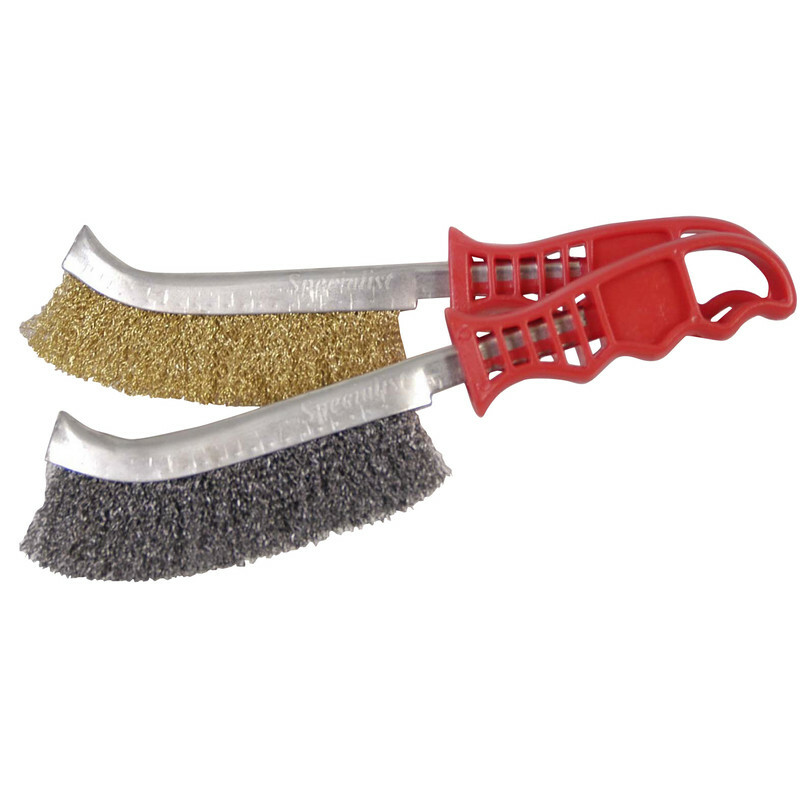 Wire Brush Set Brass & Steel (2 Pack) is rated 3.5 out of 5 by 4. Rated 3 out of 5 by Beri from Just about ok Cheap but I was still disappointed with the quality. Loose wires and strands sticking out in all directions made it awkward to use in the confined areas I need it for. It needed and extra couple of minutes care in its manufacture. Rated 3 out of 5 by Evjnes from good for the money the brushes are a bit soft and i found some of the bristles fall out but for the money cant really complain. Rated 3 out of 5 by Stee1e from Too soft Even the steel brush was too soft for what we needed. Good for a gentle brush. Rated 5 out of 5 by duckman from Wire brass & steel hand brushes. used these wire brushes before, never been dissapointed with them, well made.